The third round of the Simutrans Regular Graphics Contest has started. 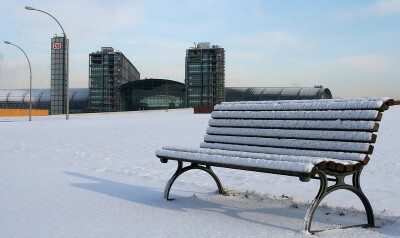 The topic are station extension buildings for passengers, in winter. All submitted content must have winter (and summer) versions, the jury will base their vote mostly on the winter version. This has two reasons, firstly some xmas holiday compatible contest was requested, and secondly winter tiles often are a bit neglected as they are tedious. Here we also want to see your creativity with the snow or ice while staying compatible with the summer version. The requested buildings are any extension building you would find at a station (train, or similar mode of transport, not airports) that starts at station buildings, continues to post offices, hotels, car-parks, parks, squares, bicycle racks or combinations of those. E.g. a ticket vending machine, a shed and bicycle racks. Please feel free to discuss all details in the forum thread. It is always a good idea to roughly introduce your plan. If it is exotic or at the fringe of what is requested i shall be happy to clarify it for you. We always encourage players who haven’t tried yet, to use the contest as a chance to get into creating new graphics for the game. If you run into trouble, the community will certainly help you to get a working release. Only open source content with a license compatbile to the pak-set it is made for can be submitted. The sources and a working pak-file should be submitted to the international simutrans forum. For the public vote a screenshot 300×200 px max, of your building should also be submitted. It should contain, besides your building, only the most necessary, eg some tracks, streets and platforms. The contest ends with the last second of 29 February 2012 (UTC). A jury vote and a public vote are to follow in march. The jury president is yet to be decided upon, and will be announced in the forum. This entry was posted on 2011-12-08, 06:40 and is filed under Announcements, Contests and challenges. You can follow any responses to this entry through RSS 2.0. Both comments and pings are currently closed.